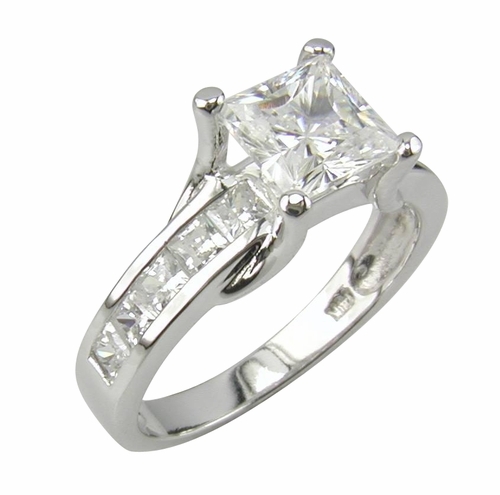 Our Suspended Princess Cut Cubic Zirconia Channel Set Solitaire Engagement Ring features a 1 carat 6x6mm princess cut square that is suspended above a row of channel set princess cut square cubic zirconia. 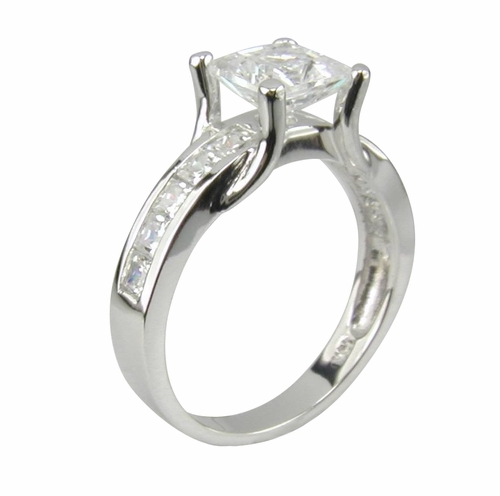 Four graceful prongs beautifully highlight the princess cut center stone, not taking away from the beauty of the channel set princess cuts that line halfway down both sides of the shank. 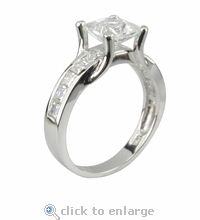 This engagement ring has a total carat weight of 2 carats of the finest hand cut and hand polished original Russian formula cubic zirconia and all stones include a lifetime warranty. Due to extremely low pricing, all clearance sales are final.